Our school provides weekend food bags for our needy children, but one sweet little teacher worries about the kiddos who don't have enough to eat over the summer. With her idea, hard work and lots of donations...this is the result! 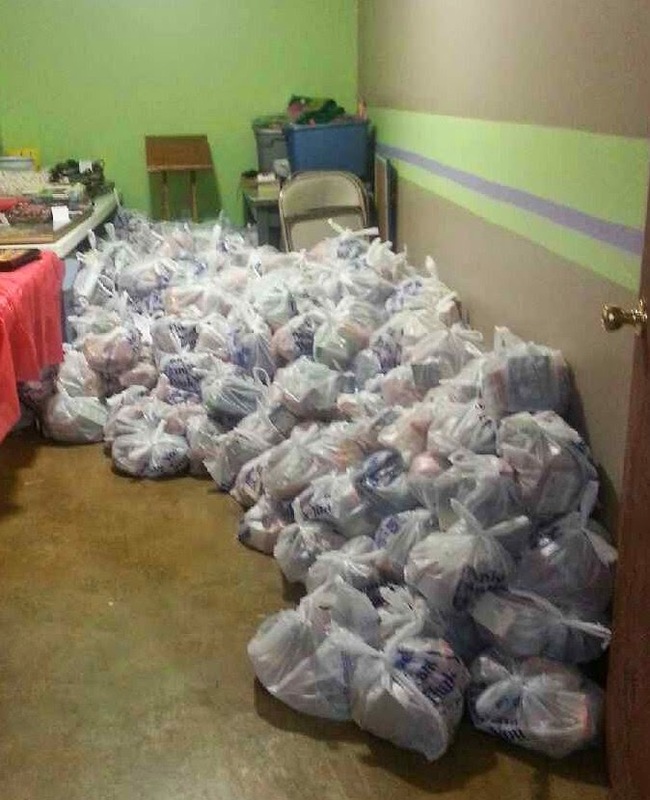 We made up 500 bags of food to deliver. The first 63 will go home with them on Tuesday, then one each week after that. 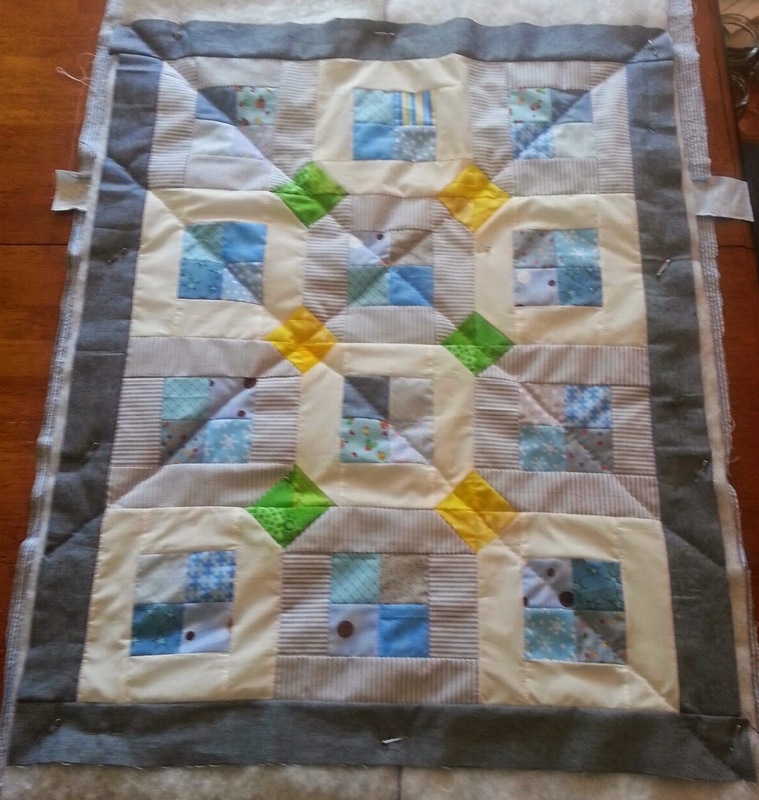 It's flatter and more even with the border and a little quilting. A couple of the diamonds are still wonky, but we'll just say they add personality. So proud to say, all stash all the time! Even had the batting and backing. Last green Saturday of Rainbow Challenge 2014! So busy! Glad you found a few minutes to sew. I love the idea of the bags for needy families! By the way, do you know of a good tutorial or book on how to get started with hand piecing? I want to try it but have only used a machine. What a great idea with the bags of food. I just love your little quilt - I just worked up some 4 patches and only have a handful. I think I'll sash them like yours and create a little doll quilt with them to hand stitch on this summer. Thanks for the inspiration! T he quilt looks great. It's so sad that those bags are needed, it's great that your group is meeting that need.